Duration: 4 hours including transport. 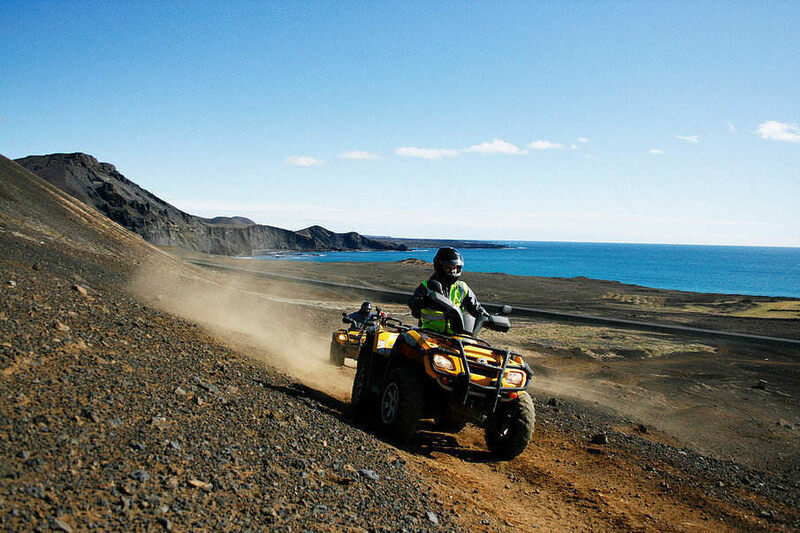 Included: 1-hour ATV guided tour, warm overalls & a helmet. 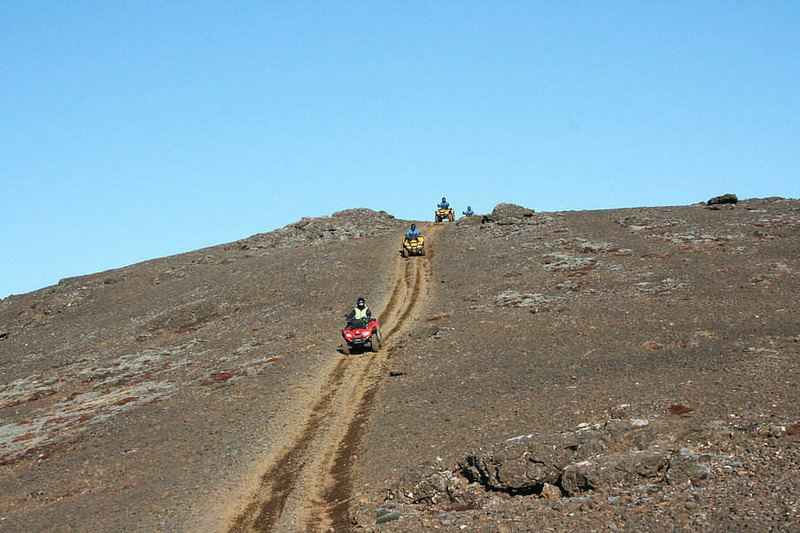 Please note: Must add a solo fee for odd numbers and solo travelers. 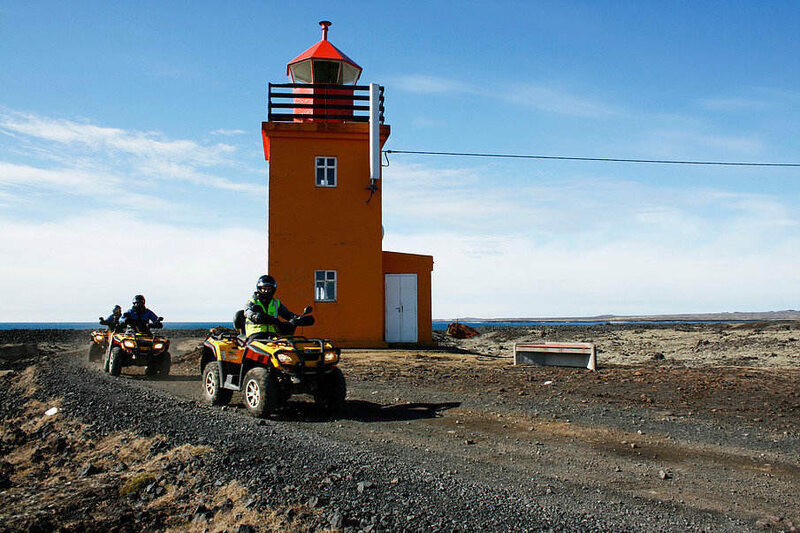 The tour starts at our base at 11:00 and 15:00. 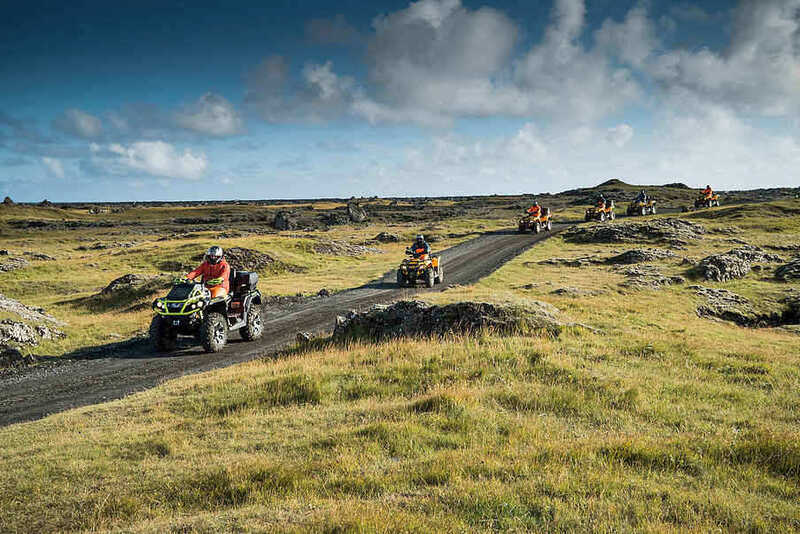 In this ATV tour we ride along lava and black sand up between two mountains, Husafell and Fiskidalsfjall, and then up onto the mountain Hagafell, where we expect a good view over the Blue Lagoon and the island of Eldey. As we head back we can expect good views over the sea and driving by the coast gives an opportunity to see dramatic shipwrecks. 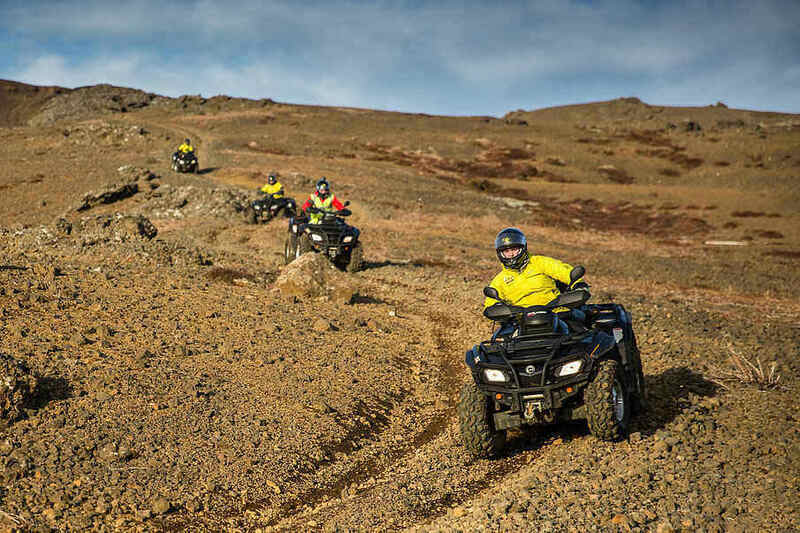 ATV / Quad biking in Iceland is a fun activity that everyone should try. 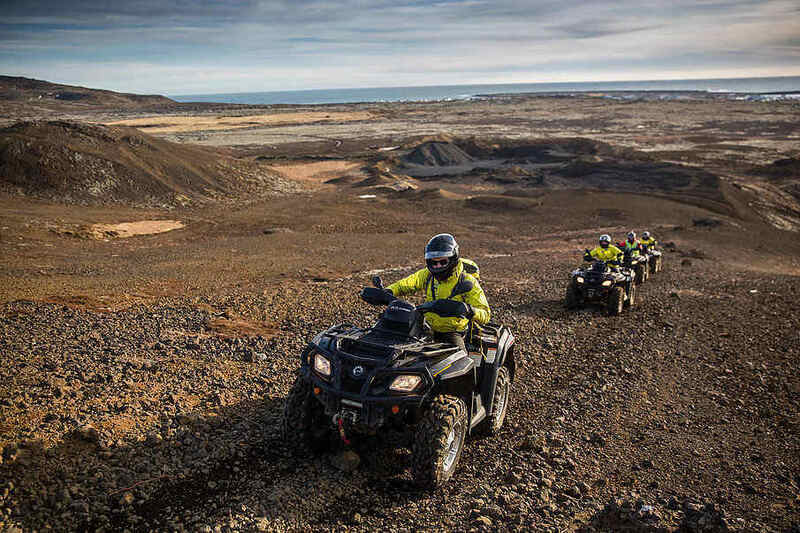 The ATV’s are automatic and easy to drive, so no experience is needed.